The project focuses on the reception of Avicenna’s philosophy in the Islamic East (from Syria to central Asia) in the 12th-13th centuries CE. 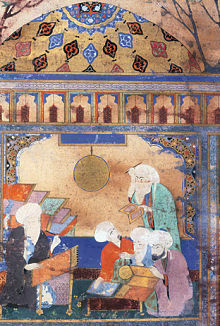 There has been very little research into the large number of extant philosophical works from this period, in part because of the long-standing but now discredited myth that philosophy in the Islamic world ended with Averroes (d.1198). Yet this was a period of complex and sophisticated philosophical activity, embracing three major traditions: philosophical kalām (Islamic theology), Illuminationism, and philosophical Sufism. Avicenna (d.1037) was the dominant philosophical authority in later Islamic philosophy, much as Aristotle had been for earlier generations, with thinkers of all three traditions responding to him. To understand his influence better, we will select a range of distinctive Avicennan ideas across a range of themes in logic, physics, psychology, and metaphysics. We will identify, translate, and analyze passages in which authors of the 12th-13th centuries engage with Avicenna on these themes, producing volumes of sources in translation accompanied by analytical material, alongside re-search articles on specific themes. The passages translated in the sourcebooks will also be made freely available online in their original languages. The project will thereby make a wide range of texts available as never before, demonstrate the interest of this overlooked material for a broad philosophical audience, and lay groundwork for future research into still later periods of philosophy in the Islamic world.